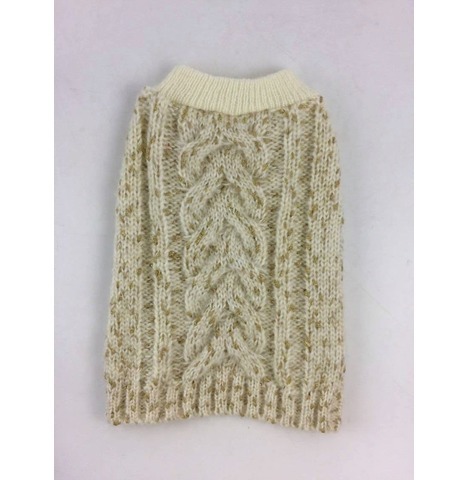 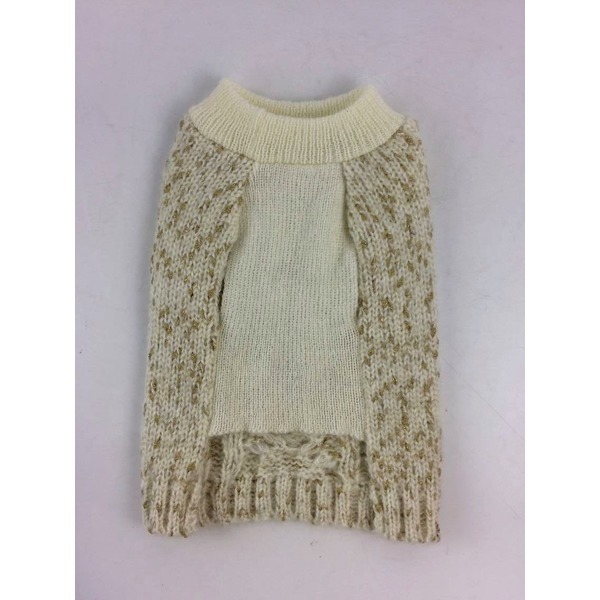 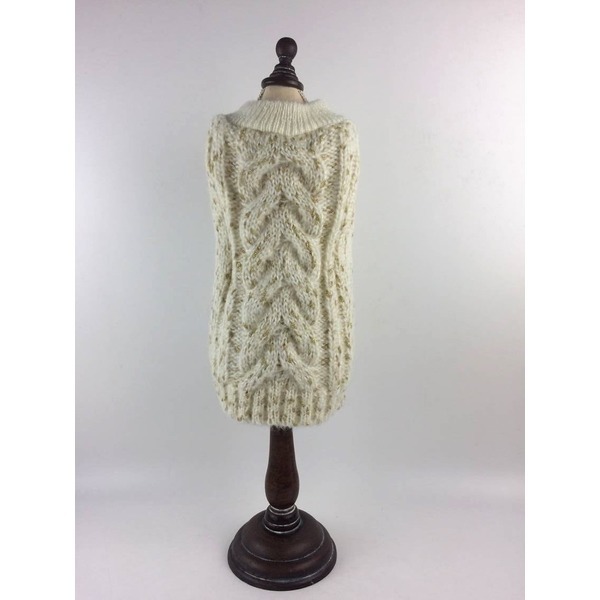 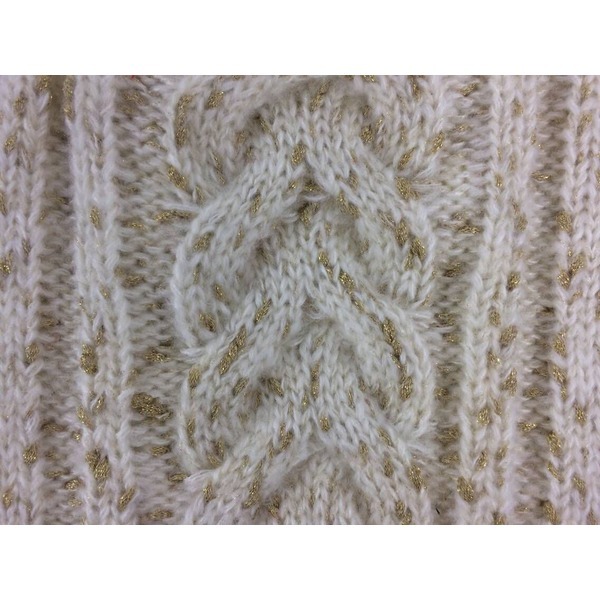 This listing is for the Cream jumper (With Gold Glitter Wool).... other colours also avaliable. 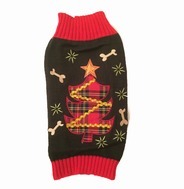 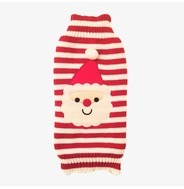 These gorgeous snug warm hand knitted jumpers are must have for every dog in the cold weather! 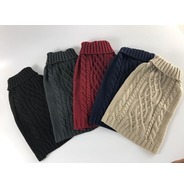 Each jumper is a soft knit and with slits for the front arms to go through rather than sleeves making them extremely cosy and comfortable for your dog to wear and very easy to take on and off. 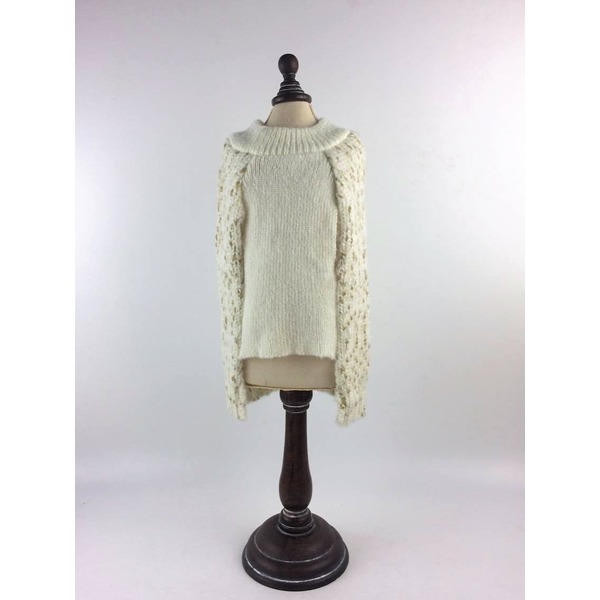 They have a lot of stretch in them, with roll neck and a cute button to finish. 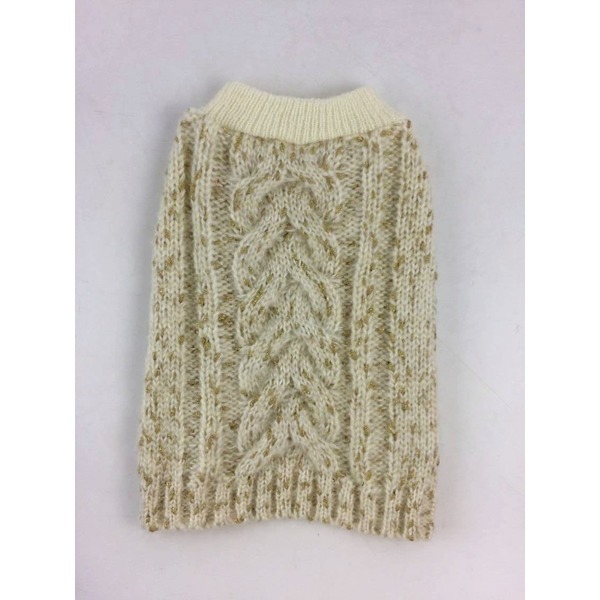 The sizing for these jumpers come up very different to our other style jumpers - please check size guide before ordering.